So what is it like? Does life change? Do dreams become reality and with a deal to your name does it all become plain sailing? And what is the process from slushpile to contract to published novel actually like? I asked debut author, Lu Hersey, about her journey to publication. Difficult question – when does any writer actually start writing stories? From the moment they can write, I suspect! I wrote radio plays for years before I started writing a novel. I liked the 45 minute boundary as I was a working single parent of four, and time to write anything at all was very rare. Also my day job was copywriting, which takes up a lot of your creative energy. I started writing Deep Water when the children were all teenagers and the youngest is now 20. So it was about 6 years from getting the idea for the book to getting the publishing deal. You do need a tough skin, it’s true. Every rejection is like a stab in the heart when it’s your own work. As a copywriter I didn’t care if clients hated copy and wanted it changed because it was all about them, not me. But a novel is in some ways bearing your soul, so rejection feels way too up close and personal! For me the biggest incentive to keep going was winning the Mslexia children’s novel writing competition. I owe Mslexia my sanity and can’t thank them enough. For the first time, someone outside my friends and family had read the book, anonymously, and chosen it to win. Even now, when I have days of massive doubts about my ability to write, it helps me to stay positive. It helped enormously when it came to getting an agent too of course. It took about 10 weeks for a publisher to show an interest in Deep Water - probably the longest 10 weeks of my life. I even started smoking again! Publishers were very nice about my writing, but not sure they could sell the story – and then Rebecca Hill at Usborne read it and loved it so much she called Ben Illis (my agent) over the weekend to tell him. I hadn’t realised I’d been virtually holding my breath for 10 weeks until the news allowed me to breathe again. Then I floated on a cloud for the next few weeks! If you think about the amount of work you did on your story pre-deal, how much more work did you have to do once you’d landed your deal – did you realise the real work had only just begun and how surprised were you by that? Actually this is where being a copywriter really helped. I was so used to clients wanting copy changed, I thought it was normal. And probably unlike many writers, I’m quite a minimalist (again, it’s a copywriter thing) – so for me it involved adding an extra 15,000 words in rather than editing them out! I could see where my editor (Sarah Stewart at Usborne) was heading too – and I agreed with almost all of the changes she suggested. Having said all of that, the editing process (at the same time as working a day job) meant I took up smoking. Again. Less than before, but still an amazingly stupid response! Okay, so there was a moment on first reading the editorial comments when I felt like throwing the whole bloody manuscript across the room and stamping my feet like Rumplestiltskin. Fortunately, talking to other writers (have to mention SF Said here – he was so kind and incredibly helpful in getting me through the process) made me realise this was a normal reaction, and actually when you calm down and look again, the editor is merely pointing out things that may not be entirely clear, and they’re genuinely interested in making your story as good as it can be for the reader. It changed the emphasis slightly – but in a good way. Without giving too much of the plot away, it was the relationship between Danni (my protagonist) and her family that changed the most. I’d barely touched on it as I had a very difficult relationship with my own parents when I was Danni’s age, and was interested in telling the story rather than going into any detail about her relationship with her mum and dad. But actually her parents are an essential part of this story. By following my editor’s advice and bringing Danni closer to them, I think the suggested changes have really added something positive to the novel. Ah, that’s a million dollar question! My current deal is a one book deal, though Usborne were keen to tell me they generally work this way with debut authors and it doesn’t reflect on their interest in my future work at all. But not having the security of knowing my next book will be published is very nerve wracking. (In fact it’s the current excuse for having an occasional cigarette!) Having said that, the actual writing process is a bit easier – mainly because I’ve done it before, so I know I can do it again. Hopefully! I had no idea just how much authors were expected to do apart from simply writing and editing. The first hold up for me was the contract with the publisher. That took so long to sort out (4 months – which is way longer than most), I was convinced the publisher had lost interest. I’d probably have given away the book free with a pint of lager and a packet of crisps and no contract at all - which is exactly why you have an agent to sort these things on your behalf! Marketing and PR stuff is my current nemesis. I know I have to do it, but find it all so confusing – and so time consuming! All the self promotion stuff, and social media – and the worry at the back of my mind that people might hate the book when it comes out and give me awful reviews…it’s got so bad at times, I’ve even searched Right Move for hermit caves. (Don’t bother by the way - there aren’t any. But there’s an island in Scotland if you’ve got a spare million…) Tax is a problem too. I’d suggest all writers start keeping receipts and train tickets etc the minute they start out on the path towards publishing – so they’re ready for filling out the tax return form. I didn’t, and am already beginning to regret it. I thought it might jinx things if I expected too much – writers can be a superstitious bunch, so my advice is to get over yourselves and keep your receipts! There’s always another hurdle to jump over. Always. And other writers provide the best possible support network. Most writers (well, children’s writers at least) are very nice, helpful people. I think the relationship between writers and editors varies – but the key thing to remember is THEY’RE ON YOUR SIDE! Their aim is to make your book better. Honestly. And if you don’t agree with or understand some of their comments, TALK TO THEM ABOUT IT! 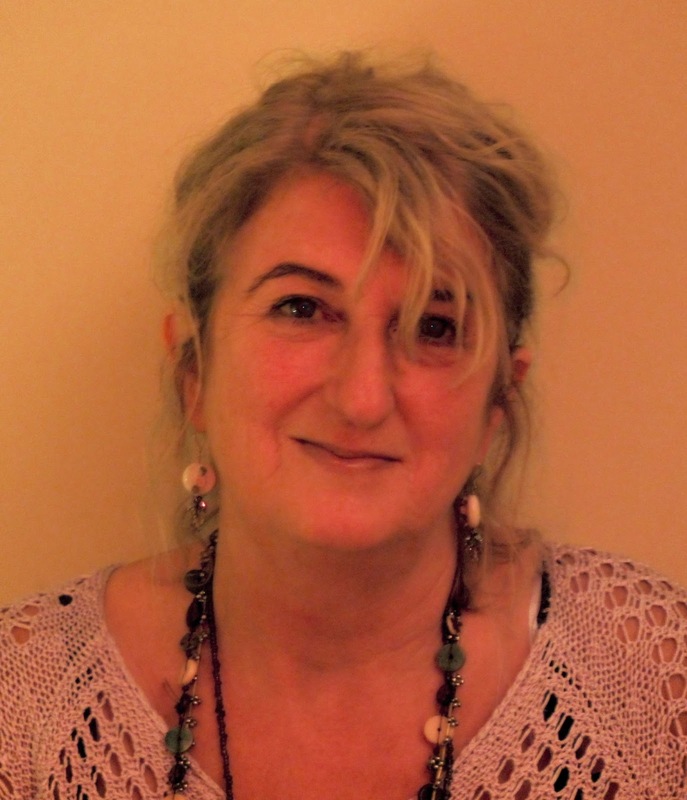 You can find out more about Lu Hersey on her blog. 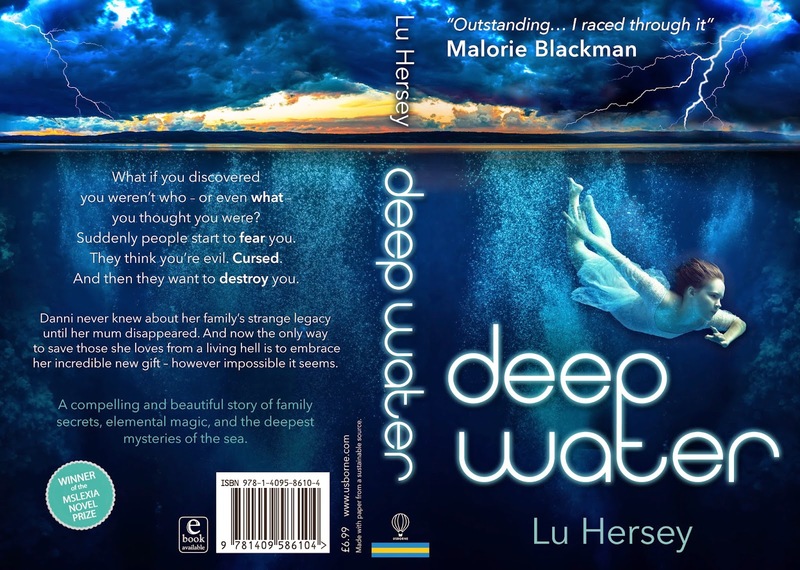 You can read the Usborne Press release for Deep Water here. Deep Water will be available in the summer of 2015. I liked this interview! The questions (you understand what is going on, Nicky!) and the answers! Must try to find the book! Great interview Nicky. Congratulations Lu - inspirational story! I love doing these debut author interviews - every one makes for fascinating reading, revealing a different angle to similar journeys. I've just been to Lu's blog, and read about her 'worst christmas' - woo, what a read. There's a book in that for sure! Thanks Nicky and Lu for a great interview. Thank you for a lovely, insightful interview and wishing you every success with Deep Water.